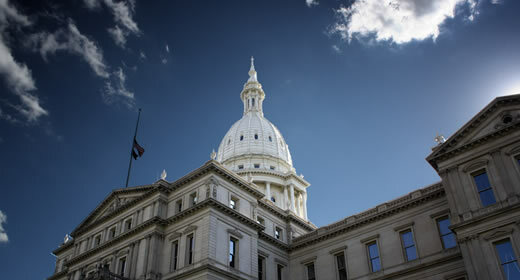 The Center for Local, State, and Urban Policy’s (CLOSUP) most recent Michigan Public Policy Survey finds a reversal in the trend of improving fiscal health among Michigan local governments. Despite an improving economy, fewer local governments say that they are better able to meet their fiscal needs today than in previous years. CLOSUP's survey also asked local leaders whether or not they think the state's system of funding local governments is broken, and if so, how it should be fixed. The center will be releasing a report with those findings on September 13. On the same day, in a free webinar, CLOSUP and the Citizens Research Council of Michigan (CRC) will offer background and perspectives on these issues. Register now for the September 13 webinar. “Though the economy has improved significantly since the Great Recession, recovery among Michigan’s local governments has not kept pace,” says Tom Ivacko (MPP ‘93), program administrator at CLOSUP. CLOSUP staff will review results from longitudinal fiscal health surveys, focusing in particular on the spring 2016 survey that asked local leaders to indicate whether they would support or oppose 11 possible reforms to the state's system of funding local government. The potential reforms cover a broad set of options, including property taxes, regional tax-base sharing, local-option taxes (local gas tax, local tourism tax, etc. ), and more. The Citizens Research Council of Michigan will then delve into the pros and cons of these fiscal reforms, and will offer a comparative perspective on how other U.S. states fund their local governments.